Micromax , Indian Smartphone Company has now launched too many smartphones and 2 days befor only they launched Canvas Win series , The Windows O/s smartphones . Micromax is all ready to launch Giants in The markets . They are just waiting for a chance to release their Smartphones . 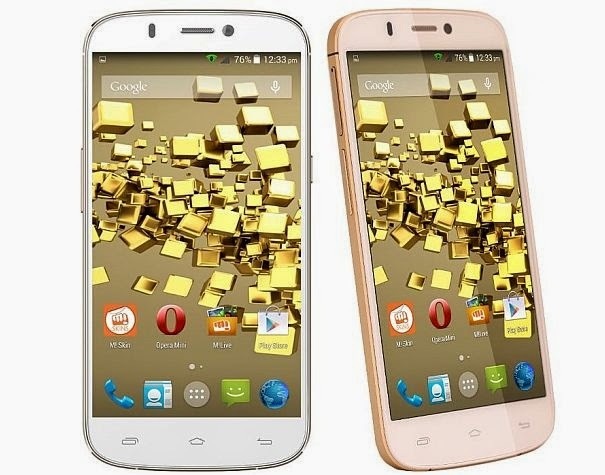 Micromax Canvas Gold A300 Comes has been Priced 23999 Rs . Micromax Canvas Gold has been recently leaked in Some pictures . This is a dual sim set , which will come in Golden Color . Canvas Gold comes with 5.5 inch Hd Display . It has 2gb of ram and The Octa core cpu which is powered at 2ghz . 32 Gb of Inbuilt Internal Storage makes the smartphone more awesome . Canvas Gold has 16mp rear camera and 5mp front camera . Its overall a nice phone .